Khatta Meetha Kaddu is a traditional Indian side-dish. 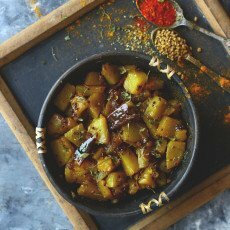 This pumpkin side-dish is often prepared during festive occasions along with poori and aloo ki sabji. The khatta meetha kaddu is a no onion/garlic, gluten-free recipe. It requires minimal spices and seasoning. 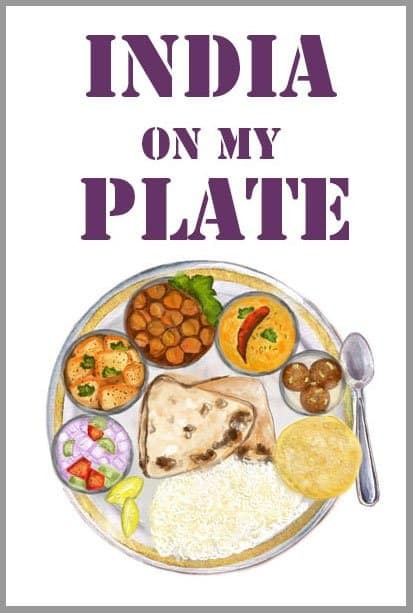 The savory flavor comes from the addition of sugar/jaggery in the dish. 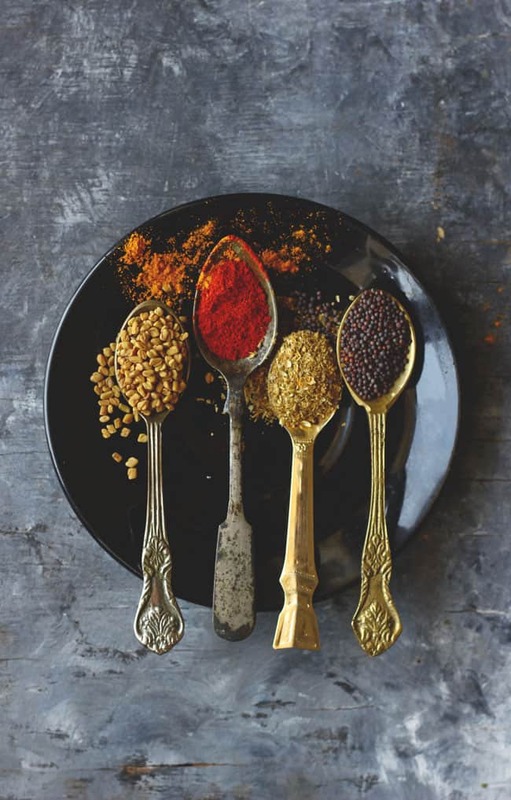 The combination of spiciness and sweetness is truly a delectable combination. The khatta meetha kaddu is quite a popular recipe across North India and mostly, prepared during the festival of Navratri or other similar occasions. 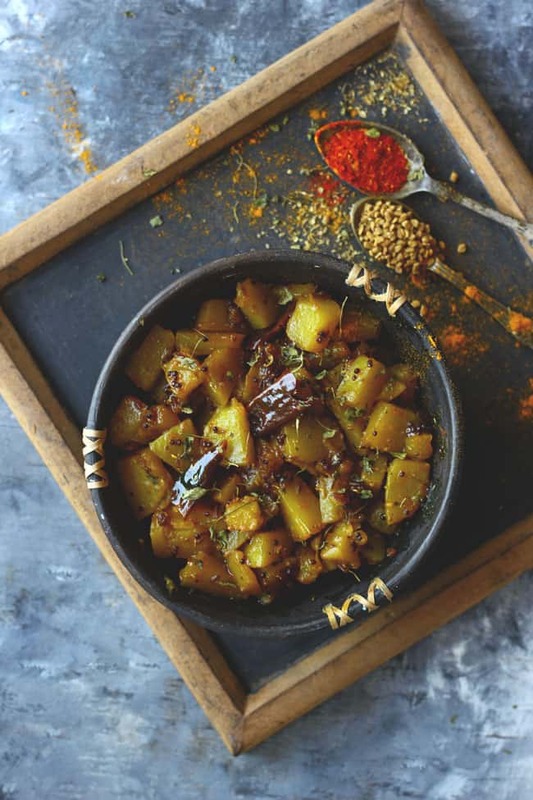 Even if you are not fasting and need a change from the regular mundane side-dishes then I think Khatta Meetha Kaddu Recipe is a good option to be included in the daily menu. It is so simple to make and tastes delicious with any deep-fried bread. Even if you are planning to pack a meal for the long-distance travelling, then khatta meetha kaddu could be a fantastic dry preparation. The kids in the family love it. And enjoy khatta meetha kaddu in their lunchbox as well. 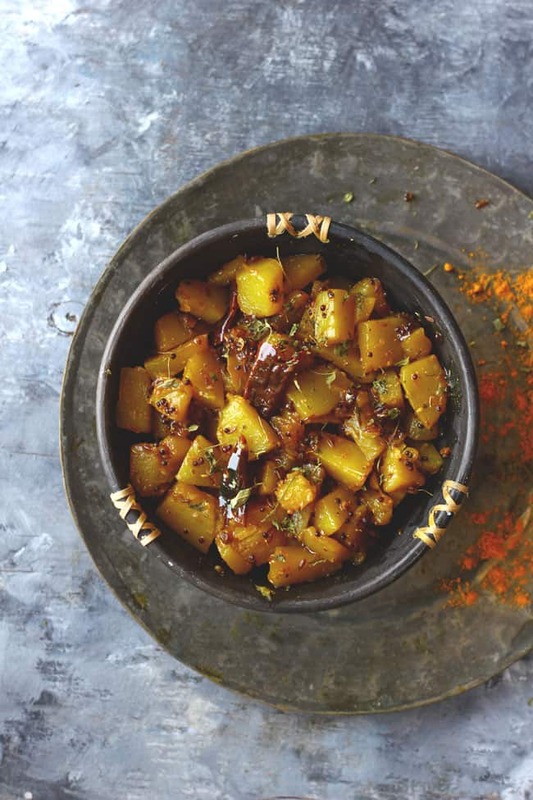 Khatta Meetha Kaddu is a delicious, gluten-free pumpkin side dish. Learn how to make khatta meetha kaddu in few simple steps. In a heavy bottom pan heat ghee over medium flame. Add cumin seeds, mustard seeds and kasuri methi, fry till seeds start spluttering. Add pumpkin along with the salt and spices, stir to combine. Once pumpkin turns soft, add amchur, corinader powder and sugar. Stir to combine. Let the pumpkin pieces cook over low heat for next 5 - 10 minutes. Stir occasionally in between. Serve Khatta Meetha Kaddu warm with Poori ( see recipe ). Even I prepare khatta meetha kaddu! Loved the presentation! Very nice recipe. It looks so delicious in the pics. 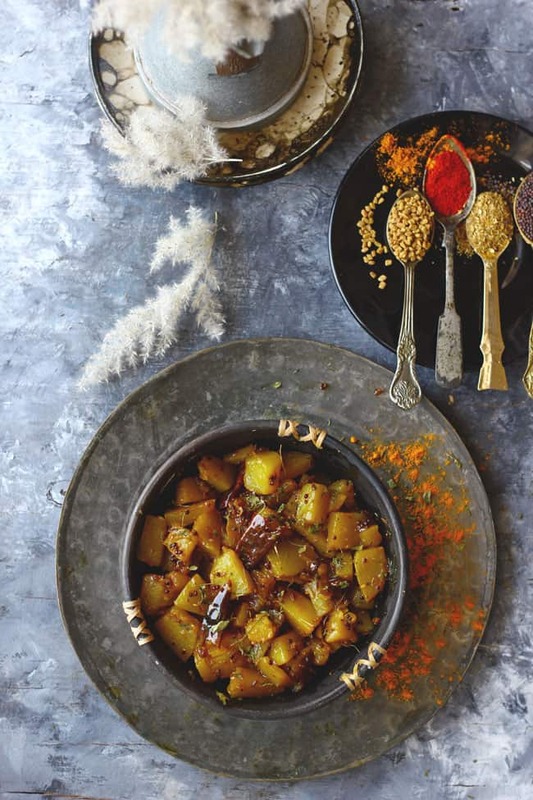 I don’t like kaddu at all, but this recipe looks so yum. Will surely try this.